Little Kids Rock (and so can you)! Have you ever wished that you (or your kids) could play music? If so, this article is for you. I’m writing it in advance of “Make Music Day” which is coming up this June 21st. It is a free celebration of music around the world, so maybe I can use this opportunity to motivate you to start making music. I have already helped hundreds of thousands of people start their own musical journeys. Allow me to explain. I became a schoolteacher in 1992, the same year that my city earned the unwanted title of “Murder Capital of The Nation.” All I wanted to do was increase the peace and bring harmony and beauty into our classroom…but how? The answer was simple: music. 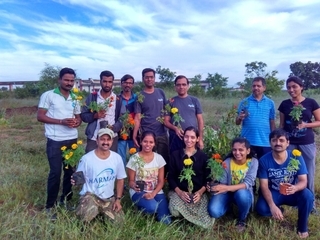 My school had none and so, together with my students, we changed that. We started meeting every day after class to make music together. The focus was all on them and the music that they knew and loved. As the music worked its magic, I watched shy children like Sergio start speaking up, tough kids like Christian start softening up, and struggling kids like Esmeralda start stepping up. They taught me that all human beings are profoundly musical by nature. My job as an educator was to simply draw the music out of my kids, not to drum it in. My volunteer efforts to bring music to kids has gained momentum as teachers from other schools rallied to assist me. My one class turned into two classes, then twenty classes, and more. In 2002, I took the step of founding the nonprofit Little Kids Rock in order to help bring more music to more children. Since then, schoolteachers from around the country have since built Little Kids Rock into a movement to transform the lives of kids through music education. We also proudly support over 2,500 teachers in 45 states that bring the gift of music to over 420,000 students in their schools. Music improves everything it touches. That’s why it is played at weddings, funerals, religious services, parties, and in dorm rooms, restaurants, movies and even shopping malls. Why would anyone think that removing music from our educational system makes education better for kids? 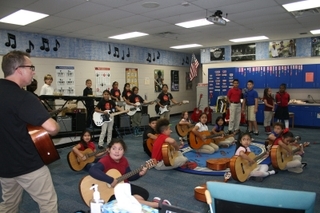 The Little Kids Rock mission is to restore, expand and innovate music education in our schools. We are drawn to this work because of the overwhelming amount of research that shows the many benefits that music brings to children. It improves their academic skills, social skills and cognitive skills. 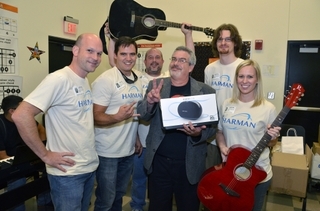 Our partnership with HARMAN evolved out of a mutual passion for music and technology. We were exploring how we might use technology to bring music education to our kids outside of regular school hours and also to kids we might not be able to reach directly. It was around this time that we met with the enthusiastic team from HARMAN and together conceived “The Jam Zone,” a special website designed to help kids learn how to play popular music. 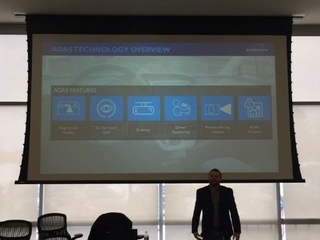 With the full, hands-on support of CEO Dinesh Paliwal and the incredibly passionate employees within HARMAN, we have expanded our reach exponentially in our first two years. And just as inspiring, The Jam Zone is for beginners of all ages! Take a minute and visit it alone or with one of your kids. It can take you from your first time holding a guitar or drum sticks to playing songs that you know and love...all in a surprisingly short amount of time. It meets you right where you are and helps you with step by step musical activities and jams that get you making music almost instantly. We regularly hear from people who credit the Jam Zone for getting them to play a musical instrument. I hope that it can serve the same purpose for you and your family! As “Make Music Day” approaches again this year, I am reminded of a truth as old as the human family itself: that music brings people together in ways that little else can. I have seen it happen time and time again with my own eyes for the past 20 years in Little Kids Rock classes across the country. I hope that you will take a moment to explore making music yourself: it is easy and so worthwhile! If you would like to support the work that Little Kids Rock does to bring music education to children across the country, please visit www.littlekidsrock.org.